I decided not to do the Workshop on the Go kit this month, primarily because all those that normally attend the scrapbook workshop don't have a need for cupcakes and ice cream cones. 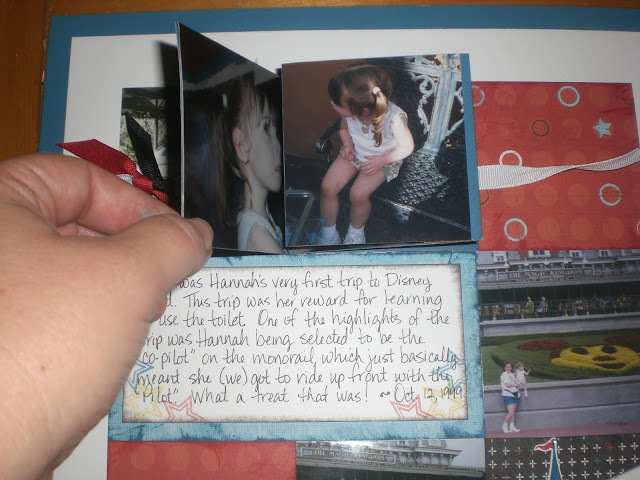 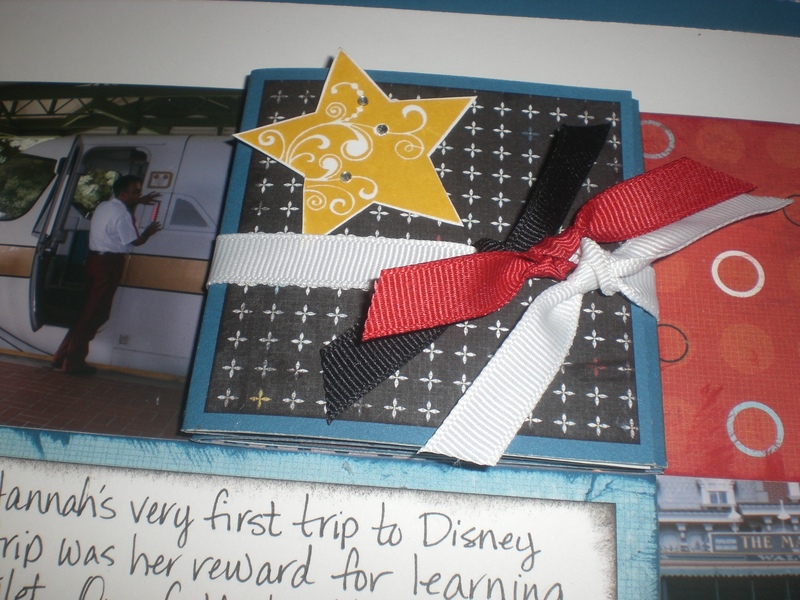 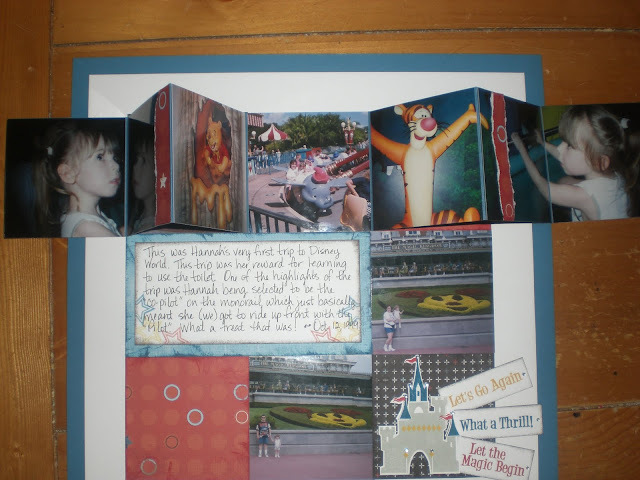 Instead, I created two layouts using the Fanfare Level 2 Paper Pack. 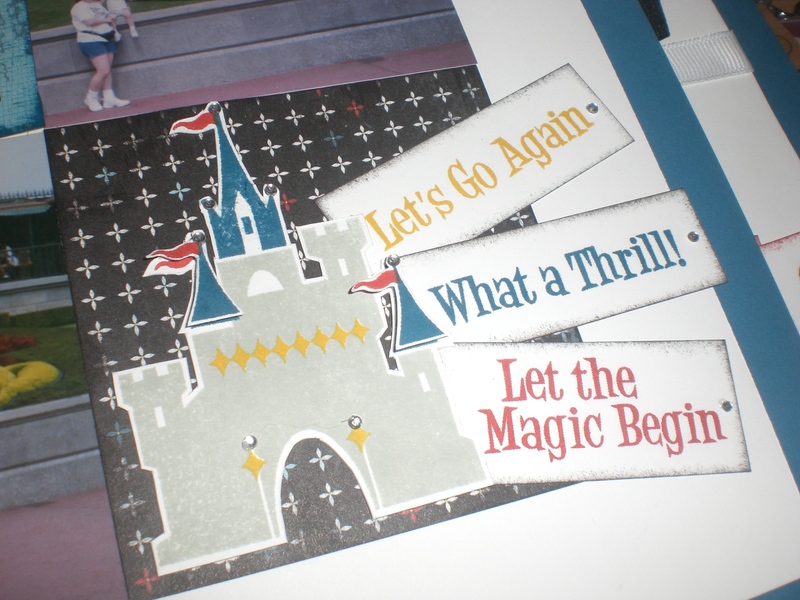 One layout is Disney-themed and the other is a Summer-themed layout. After all, living in Central Florida, we do have Disney photos and we certainly have summer photos (especially considering that summer lasts about 7 to 8 months around here). The accordion book fully opened.